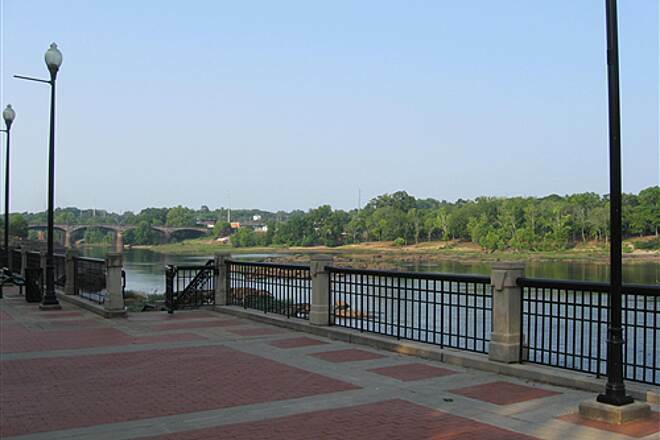 The Chattahoochee Riverwalk in Columbus, skirts the banks of the Chattahoochee River, which follows the border between Georgia and Alabama. 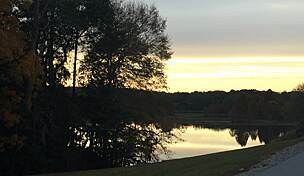 The meandering and hilly paved pathway links the quaint cotton mill village of Bibb City, downtown Columbus, and the drill fields at Fort Benning. 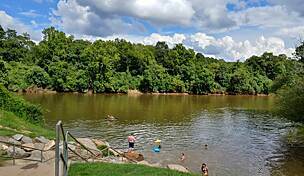 The Chattahoochee River originates in the mountains of north Georgia and flows to the Florida Panhandle. Steamboats loaded with cotton plied the river through Columbus in the 1800s and commerce depended on the river with the arrival of the railroad and other means of transportation. A highlight of the route is the Oxbow Meadows Environmental Learning Center, located near the southern end of the trail, where visitors can learn about the local ecology and wildlife, and explore nature trails along wetlands and ponds. Other enjoyable amenities along the way include: Rigdon Park with its playground, pool, and athletic facilities, and Rotary Park, which offers picnic tables and boating opportunities on the river. 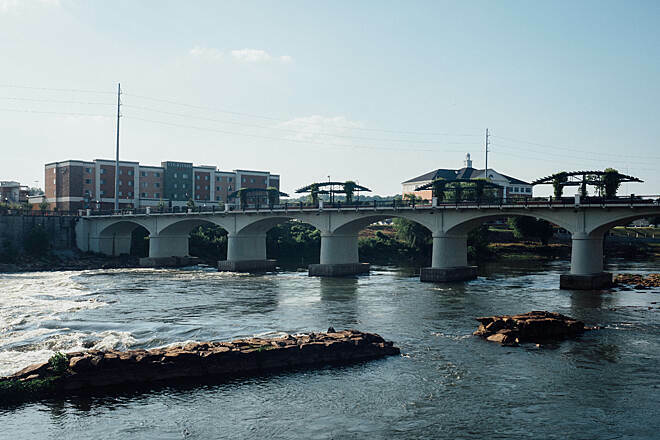 As the trail traverses downtown Columbus, trail goers will have access to Woodruff Riverfront Park, which serves as a popular event venue and also offers a splashpad and playground. 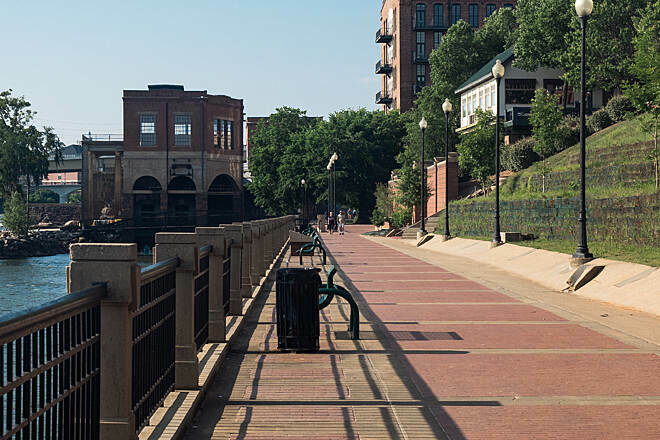 The Riverwalk is part of the Dragonfly Trails network, the city's effort to connect more than 60 miles of trail throughout Columbus. A connection to the Columbus Fall Line Trace offers the opportunity to travel 11 miles on a northeast trajectory through the city with access to many amenities and Columbus State University. 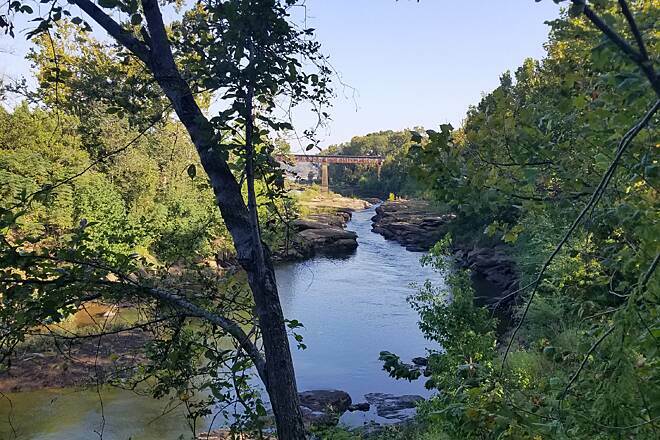 You can also continue your exploration of the Chattahoochee River along the Chattahoochee Valley Railroad Trail, just over the border in Alabama. Near the southern end of the trail, parking and restrooms are available at the Oxbow Meadows Environmental Learning Center (3535 South Lumpkin Road). Other parking options (from south to north) include: Rigdon Park (1600 Howe Ave.), Rotary Park (1808 Victory Dr.), and Woodruff Riverfront (1000 Bay Ave.). My Wife and I rode this trail over the weekend it was nice and clean. 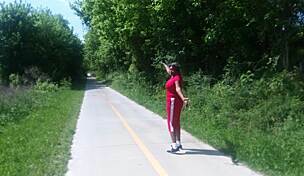 there were many folks riding and walking the trail and it was beautiful and enjoyable. I was forewarned where to park and heeded the advise.I had a great time. 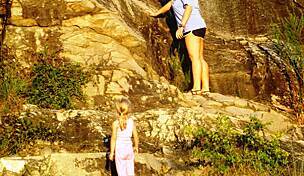 This is a beautiful, safe, clean, easy trail that is suitable for all ages. It is partly shaded and therefore a pleasant ride even in the summer. You can combine the bike riding with other activities such as rafting or zip lining and end your day with a wonderful meal at a wide variety of restaurants close by. nice ride but be careful where you park! I parked in a lot where there were a few other cars and folks coming and going. It was not super busy. The ride itself was wonderful! Following the river was nice, with a few rolling hills and nice people;e along the way. It gets a little crowded by the zip line with lots of families, so probably will start beyond that next time. I wasn't sure where to go when I reached what seemed like the end of the ride near Ft Benning but I needed to turn around anyway as I wanted to be back to my car before way before dusk. As I came up the ramp where I parked, near where the whitewater rafts put in, I saw a figure run from my truck then I saw all the broken glass...mine was the only vehicle left in the lot..
Smartly I had everything of monetary value with me. I found out later from the police that there is a problem with crime in the area. I called the local bike shop who said on the street downtown it is 2 hr parking only so they all park in the parking garage. I have a sour taste still so have not been back but with the weather warming up I do plan to go back, go earlier in the day, look at the map more carefully, and park in the garage! The part of the trail that is accessible in the downtown Columbus area is currently disrupted in several places by construction. We were not aware of this and parked at 32nd St. We had to get up on surface streets and at one point negotiate long sets of steps with our bikes. We finally got to ride at 13th street. The trail is lovely for most of its length this time of year , Spring. 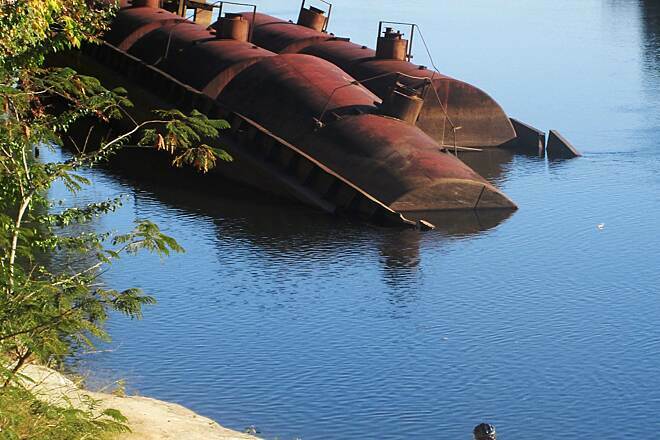 The river is very polluted and at one point before you get to Ft Benning the sewage treatment plant is an unwelcome "stench" ! There is another stretch of trail further South where the smell is from chemicals related to processing of fabric. The rapids in town are used currently for kayaking. This industry is being explored by the city of Columbus and much more will be added to it to bring more people to the area for competitions. It is a shame the river is used as Atlanta's dumping ground for toxic waste ! 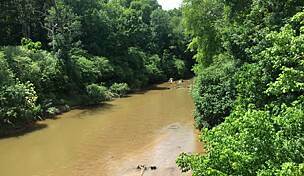 At present the city of Atlanta has stated it is cheaper to pay fines than treat the water to the level that would make the "Hooch" as pristine as it once was. You can get daily reports on the levels of pollutants. We will go back and do the Lake Oliver stretch sometime in the future. When it is complete the 22 miles will be easily negotiable. 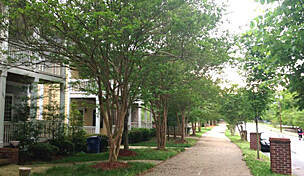 The Ft Benning base is a wonderful ride so make sure and take time to see the lovely neighborhoods. now i wouldnt say labor day is the best time to go because its quite hot in town then, but we did. but everything else was superb. the concrete surface, the benches, gorgeous treatment as it runs thru downtown and by columbus state art campus, minor league ballfield stadium, community pools (wish we could've gotten in to cool off), and a fishing equip store that'll sell you a cold fanta grape. 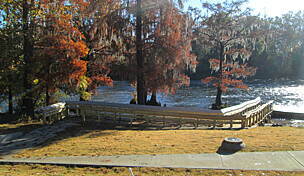 park at the north end of town by the access at the spillway/dam and ride to ft. benning if you like. thats about 11 miles an we turned back at 8. one part passes thru a historic neighborhood with a stone amphitheatre under a large grove of trees, imagine seeing evenign music there. great job columbus, we'll be back. The Riverwalk trail is a hidden gem. The ride along the river was beautiful, and there are two museums to peruse along the way if you need a break. There are bathrooms, water stops and a convenience store just off the trail if you need anything else. We will be going back! We rode this trail on Saturday and went back on Sunday.The trail was beautiful and something different around every turn,and there are a few curves.They were having Rumble on the river with a live band and that was a pleasant surprise.The landscape was wonderful.Alot to see and do there just off the trail.It ended without warning,and could use a few more mile markers other than that I would give it TWO thumbs up.A beautiful place everyone should see.We will go back and spend the weekend there and enjoy the whole town! I will be going back soon there is so much to do along this trail you could take as much time as you'd like to see it all. There is the US Army infantry musem, cival war naval musem, coca cola space center, and lots of other things on or not far from the trail. We only explored the area from the old iron works down to the boat landing just below the naval musem, maybe three miles, and had a great and fun filled day. I suggest looking over and researching it on google maps the satelite view to find parking and look over the route you want to cycle. I wish they had better trail maps and markings along the way for those who are not familiar with the area because it has great potential for bringing in people looking for fun family entertainment for the day or weekend. My daughter,who came up from Florida to ride with me, did this trail the first weekend in August. 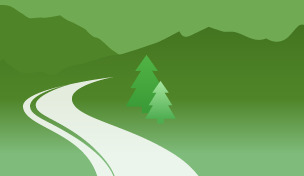 There's not a whole lot of info on the internet about trailheads, parking, and a decent map. 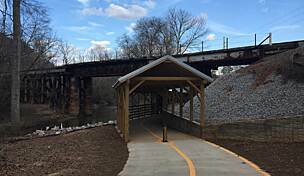 Columbus could do a much better job at promoting the trail, and should use the Silver Comet Trail as an example. We started from the Lake Oliver Marina, which you have a huge hill to climb to start on the trail. There's no signs marking the start, or the gate being locked at the first dam. Fortunately we met another rider, a local, that knew the detours and led us to the downtown area, which is probably the best place to start. It also runs through some bad neighborhoods, so be aware on the north side of the downtown area. After that, the trail is fantastic! Lots of beautiful scenery, bathrooms, water, and benches. Lots of things to see and stop for. I'm planning on coming back for a longer trip with my camera. RODE THE RIVERWALK SATURDAY OCTOBER 20, 2007. IT IS A PICTURESQUE RIDE AND WAS PLEASED AT ALL THE ACTIVITY ALONG THE TRAIL. THE OXBOW NATURE CENTER IS WORTH A VISIT. THE TRAIL HAS ENOUGH TWISTS AND HILLS TO KEEP YOU ALERT AND THE SCENERY WILL MAKE YOU WANT TO BRING A CAMERA. HOWEVER THERE WAS MORE LITTER THAN I EXPECTED AND THE PRESENCE OF SOME SHADY LOOKING CHARACTERS MADE ME NERVOUS, ESPECIALLY ALONG THE NORTH TRAIL. THE DETOURS AT CONSTRUCTION SITES MADE ROUTE FINDING DIFFICULT, BUT IF YOU'RE PERSISTENT YOU CAN FIND YOUR WAY. WITH THE COMPLETION OF THE CONSTRUCTION AND SOME CLEANUP AND MAYBE MORE PATROLS BY LAW ENFORCEMENT IT WILL BE A PERFECT TRAIL. "My husband and I biked a big portion of this trail last spring, and I hope to return someday. The scenery is beautiful with an abundance of wildlife, flowers, etc." 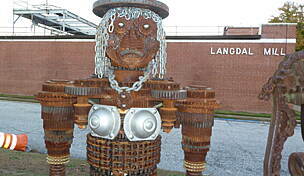 "I have to admit I was surprised to find such an extensive trail in Columbus, GA. I rode the trail in Spring 2005 starting downtown next to the Synovus HQ. I was under the impression the trail extended further north, but I could not find any evidence of that in person. Riding south, the trail follows the river for the first several miles. I was stopped about 2 miles into my ride beacuse a Civil War re-enactment was under way on and along the river near the Civil War Naval Museum. Once you reach some sort of water treatment plant, the trail turns away from the river, winding through a large field near some oxbow lakes and eventually along a golf course and past a nature center. Finally, you cross into the Army base (Fort Benning) where there are at least 2 museums and lots of fairly quiet roads with some interesting military buildings and attractive neighborhoods to tour around. 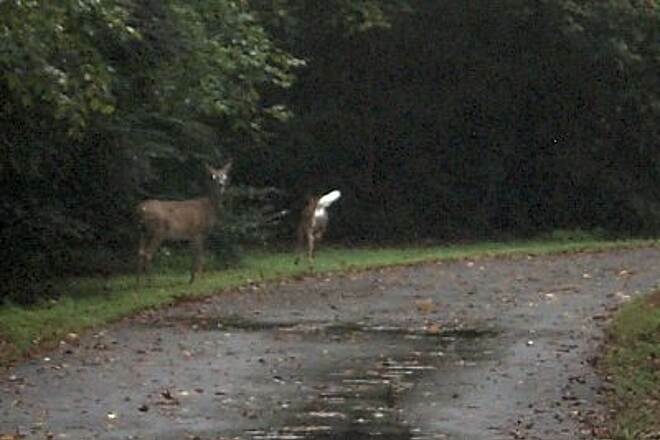 There did not appear to be any restrictions on who may enter the base on the bike trail. I did not need any ID. Once back in downtown, there were some interesting shops and restaurants to check out. Overall, a fairly long trail. There could be a number of possibilities for side trips and museums. Not terribly crowded either. " The SCT is longer but the views along this trail as it winds beside the river are spectacular. Well kept and monitored by cops on bikes it is worth a trip to experience. Newer sections are separated slightly but should be connected in the near future. "This is a very nice trail, although some of the people who use the trail aren't as sophisticated as one might desire (be sure to announce you are passing on the left and be prepared to use your bell or horn). There are historic markers along the trail, rest stops and a nature center near the Ft. Benning end of the trail that is very interesting and staffed by very friendly folks. In the downtown area there is a great brew pub, an old book store, a coffee and ice cream shop and a couple of good restaurants. Also, there is an interesting drive-in restaurant in the old bus depot. This is definitely one of the most civilized rides around. Try it, you'll like it. We've done it at least once each year for the past five years." 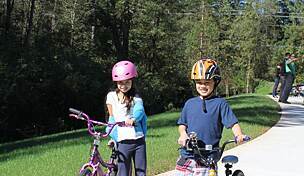 "I rode this trail on a Sunday morning and everyone was very pleasant. It was mostly shady which was nice and the hills weren't bad. In a few places the trail was cracked, but other than that I had no complaints. 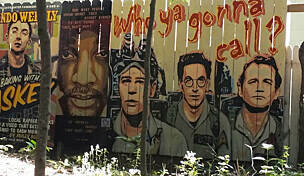 Also, make sure you have a picture ID with you if you want to go so far as the Fort Benning museum. I enjoyed this trail and am planning on coming back." "In spite of the July heat, we thoroughly enjoyed the ride on the Columbus Riverwalk. It was not too difficult and a pleasant ride. " "Come ride this trail. It's a good place to get the exercise you need. The hills aren't too bad. It's a lot of fun & check out the museum at Ft Benning. Be careful on thoes curves coming off Ft Benning. They could use more maintenance to get the sand off the trail. The trail can be ridden at night. It's well lighted & policed. We enjoy the river walk. Also, someone has opened a new water park adjacent to the trail. This is nice." "This is, for the most part, not a rails-to-trails, so it has more twists and turns and hills than a former rail line would. It is a very fine trail. " "This trail has expanded considerably. 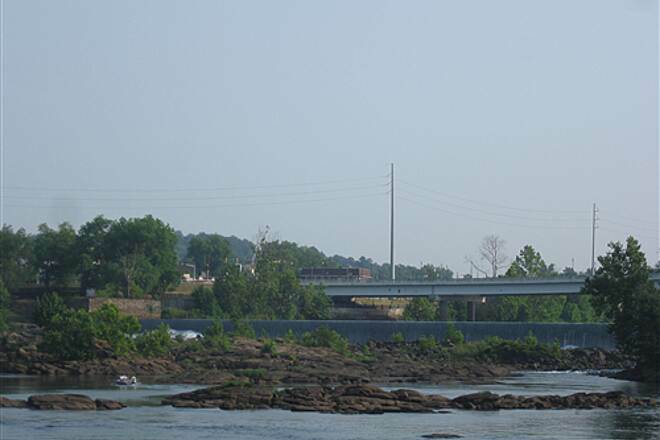 It is now approximately 22 miles long beginning at the River Road Marina and extending through downtown Columbus and on to Fort Benning, ending at the Infantry Museum. 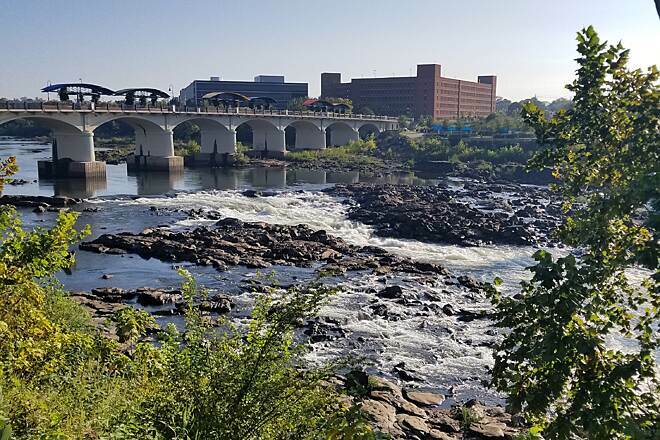 It is a lovely trail along the side of the river and if you leave the trail near the historic district you can bike or walk through the streets filled with restored historical homes."